It took most of the week, but the jet-lag is finally gone! It was ridiculous climbing into bead at 8:30, but early in the week I just could not stay awake. Instead, I was getting my reading done at 4:30 in the morning. I’m thrilled to finally be back to normal, but missing the fun of Portugal. 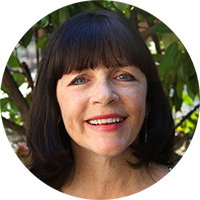 If you’re interested, my sister, Lori (AKA Recipe Girl) is doing a series of posts with lots of pictures and information about Portugal and our trip. A link to the first one is here. She does a much more thorough job than I’d ever do! Reading was a little slow, but I did manage to finish a couple of books and start a couple more. I’m still working my way through the many April books I have left, but feel like I’m slowly getting back on track. How’s your spring reading going? 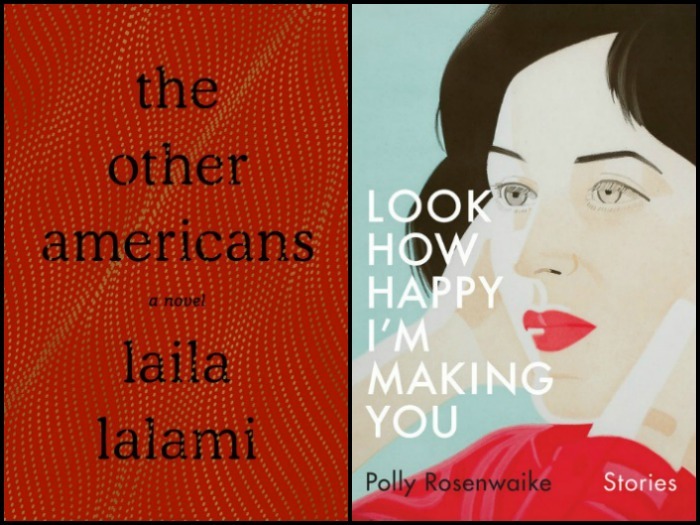 I didn’t just like The Other Americans by Laila Lalami, I loved it. This beautiful, quiet story told from multiple perspectives is exactly my kind of book. I’ll have a full review up tomorrow. On the other hand, short stories just aren’t my thing and Look How Happy I’m Making You by Polly Rosenwaike just confirmed that. There was nothing wrong with her stories (all around the theme of motherhood), but by the time you get to know a character, the story is over. Something about that just doesn’t sit well with me. However, the many narrators including Julia Whelan and Cassandra Campbell made it easy to listen to. Mini-review at the end of the month. Yes, I’m going to jump on the Normal People bandwagon. I only have 25% left and can hardly wait to get back to Sally Rooney’s remarkable coming-of-age story about the on-again, off-again relationship between two extremely interesting characters. I’m listening to All That You Leave Behind by Erin Lee Carter. It’s a memoir of the life and loss of her father, journalist David Carr. I’ve only listened to about an hour, but am enjoying it so far. 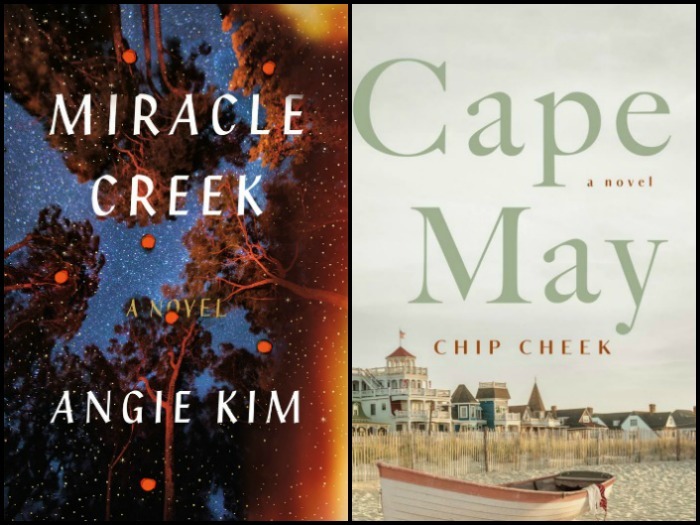 Next I plan on continuing my winning streak with Miracle Creek by Angie Kim. I’ve heard from many people I trust that this is yet another great story, so I’m eager to dive in. I’ve heard some mixed reviews about Cape May by debut author Chip Cheek. It sounds like exactly the sort of more modern historical fiction that I typically like, so I’m going to give it a try and decide for myself. Something about the idea of a honeymooning young couple taken in by a group of wealthy people just intrigues me. 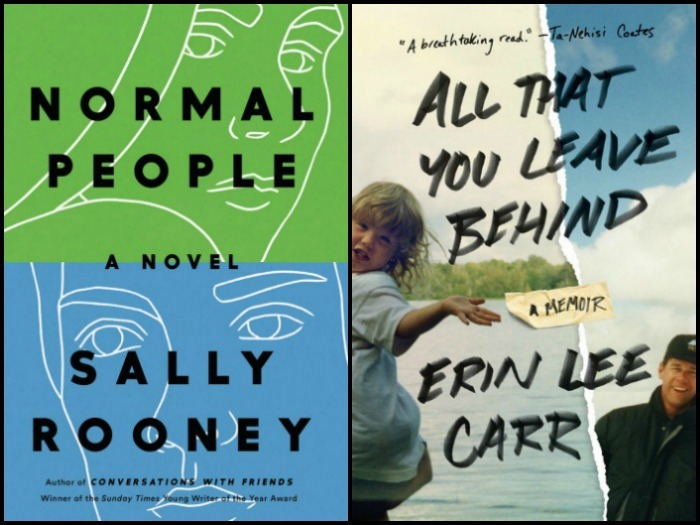 Let me know how the Erin Carr memoir ends up being! I’ll put it on my audio list if you like it. And, interested to hear your thoughts about Cape May…I just thought it was kind of boring and the main characters were annoyingly pious and naive (I realize part of this is the time period, but I just don’t like reading about people like that regardless). So far the Erin Carr memoir is pretty good. It really makes me want to go back and read David Carr’s memoir, The Night of the Gun. I might try it after this and do a double review of the two. I’m wondering if I’d like Normal People… I’ve seen it everywhere but I hear it’s got a funny story telling style that worries me. Looking forward to Miracle Creek! I didn’t notice anything odd about the telling in Normal People. The chapters alternate perspectives between the two characters, but that was easy. It reminded me a little of White Fur and even a bit of A Little Life. Normal People looks very good. Enjoy settling into your “normal” routines…and thanks for sharing. I’m on the library hold list for both Normal People and Cape May, but it sounds like I need to add The Other Americans, too. I’ll be back to take a look at your review tomorrow. Glad things are getting back to normal after the trip… loved your instagram photos! Thanks, Joann. I could have shared more photos, but we were on the go so much there was hardly time and by the evening came along I was exhausted! I’d definitely add The Other Americans to your library hold! I passed on Other Americans, perhaps I’d better reconsider! I usually do fine traveling east, but traveling west really messes me up. Glad the jet lag seems to be over. I’m exactly the opposite, Traveling east is usually easy for me, but but coming back home to the west always is hard. The Other Americans is great! Enjoy your current and up next reads! That’s strange. No one else has told me anything like that and it always works fine for me. Did you bookmark it with Amazon’s URL by mistake? I’m in the middle of it right now and it IS good!